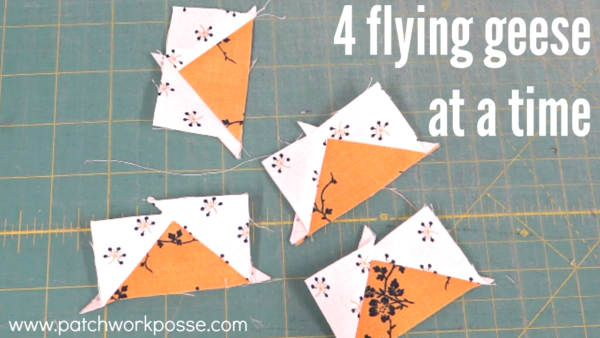 How to Sew 4 Flying Geese at once…..this is such a fantastic trick and one of those quilting hacks you should know about! You do have to do a little bit of math at the beginning, but once you have that, the process goes pretty quickly. Sewing 4 flying geese at one time! Determine what size you want your finished flying geese unit and add 1 1/4″. In the video I made 4 1/2″ finished flying geese unit. 4 1/2″ + 1 1/4″ = 5 3/4″ square of the fabric. Cut one of these to yield 4 flying geese units. Determine the finished height of your flying geese unit and add 7/8″. My finished height is 2 1/4″, so 2 1/4″ + 7/8″ = 3 1/8″ squares. Cut four of these to yield four flying geese units. 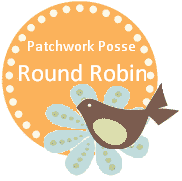 Do you have a trick to include or that you do for flying geese? 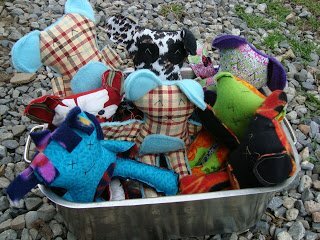 Quilt Batting- What’s on Your Roll?